With Dr.Explain you can create a CHM help file or build an online manual as a set of HTML pages and then upload it to your web site. In both cases HTML format will be used. 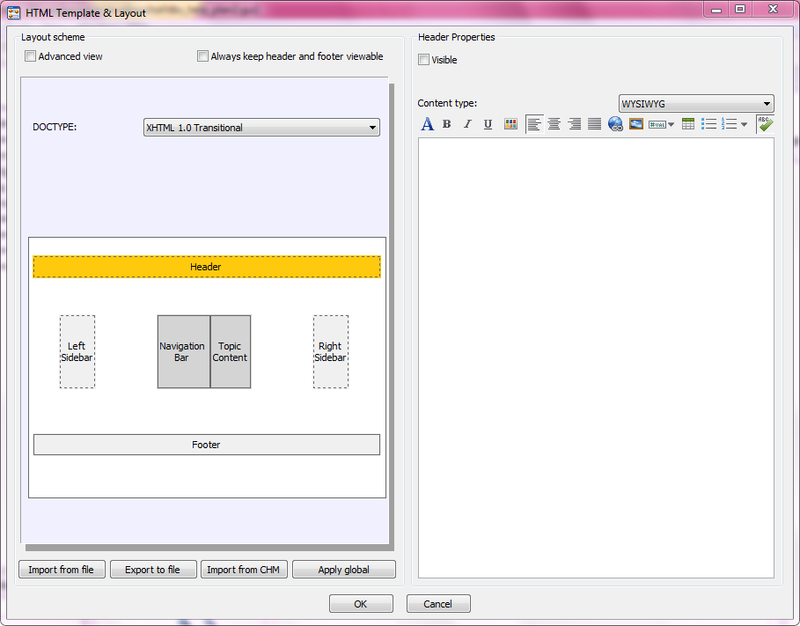 Dr.Explain provides a way to customize the structure and appearance of your help pages by means of HTML templates. For instance, you can insert your website footer and header HTML code to make your help pages look like a part of your website. They will have the same design, menu and logo as the other pages of your website. It's convenient if you need a professional help manual which meets your corporate standards and visual design.